How’s your ax? | Coach Billy. 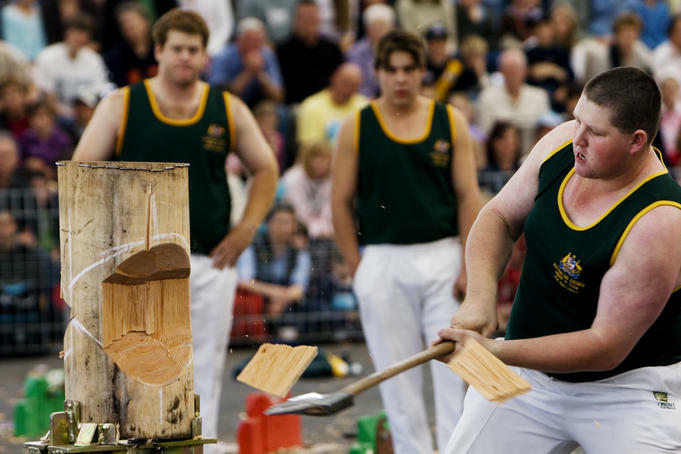 Wood Chopping is a sport that has been around since 1970. There’s a story about one man who challenged a Champion Wood Chopper to a one-on-one competition on who could chop the most wood for one whole day. It’s an obvious test of endurance, strength, and perseverance. The challenger, prepared for the competition, worked very hard the whole day and stopped only for a quick lunch and just a couple of breaks in between. The champion though, enjoyed his lunch leisurely and took several breaks during the day. At the end of the competition, the challenger was surprised to see that the champion still had chopped more wood than he had. Dealing with life is like chopping wood – we have to work hard, give lots of effort, and persevere. But sometimes in the end we seem to have never chopped enough wood than we thought we would. We all feel the pressure from our responsibilities and priorities. To add to that, we’re already at the 3rd quarter of the year and we’ve yet to fulfill our resolutions from last year! For Filipinos, we know how we’re already approaching the ber-months (or the months ending in “ber“), and this signifies that Christmas is fast approaching which means there’s more busyness to come. Our to-do-list, deadlines, responsibilities, relationships, and other activities seem endless and make us feel exhausted. We wake up in the morning rushing to start the day and just go with the flow, letting the crammed schedule for the day pass by until we head back to our beds for another restless sleep. What we don’t notice is that even if we have been chopping long and hard at life, our axes are getting dull. We feel that there’s no time to sit down and relax. We may stop for a while, but only to procrastinate because our minds need refreshing and sharpening. We give the same effort but accomplish less and less, until we realize how inefficient we’re becoming. What is the secret to working hard but still living well and not overloading our bodies to exhaustion? We can be efficient and see results from all our efforts. We can handle things properly without being too stressed from all the stress in life. Like the Champion in our story, we need to sharpen our ax. It is always helpful to get back to the basics. We just need to be still and rest, knowing that God is Sovereign in all the world, and that He is in control. Whatever happens in our family, school, friends, or other activities, we know that His will prevails and that we are in His hands. We just need to sharpen our ax so that we could chop through the challenges of life as God intended. Being still doesn’t mean that we should stop doing anything. It doesn’t mean that we will ignore the challenges and be apathetic with life. I remember an article about plane crash survivors: according to the experts, people who survive the crash are those who knew how to keep calm and not panic so they have enough time and space to think about what their next steps should be. Based on the survivor’s accounts, most people panic inside the cabin and scramble around, missing the emergency procedures, the oxygen masks, and eventually the exit. They basically knew how to be still, even in the middle of the frightening situation. Today, being still seems to be an elusive skill that we should learn. Advanced technology, communication, media and other distractions add to the pressures in life that keep us from being still and maintain our presence of mind. Without being still, we won’t be able to follow the instructions to the survival guide and find the exit. We’ll just be swinging our dull axes. We need to rest – and not just to rest because our minds cannot take the pressure anymore – but to rest and know that He is God. We need to remind ourselves of who is in control, and what our life is for. 1. Solitude. Find time to be just by yourself and don’t let anything distract you. In our fast-paced world today, this first step may be the hardest. Slow down and breathe. Turn off your cellphone. Unplug your gadgets. Close your door and rest. The few minutes you will take to sharpen your ax will be worth it. 2. Read the Word. You can also use a book, devotional, or study material that could help you understand what you’re going through. But remember that His Word is quick and powerful (Heb.4:12), and is enough to sustain you as you refresh your thoughts. Remind yourself of His promises. Remember our future hope in Christ. In addition to this step, it would really help to memorize scripture so that in times of emergency, you can just pick up a verse from your arsenal that applies to the challenge you may face. There may come a time that you won’t find a place for solitude, or you don’t have an access to a Bible. 3. Pray. Don’t just pray like “Lord, bless this food/help me through my exam/make me patient for my crush, etc., but pour out your heart before God. Pray to Him not just to request something, but communicate as if you’re talking to your best-est friend, because you are. Remember that Jesus himself needed to do it, as much as he can! 5. Worship. Acknowledge God’s sovereignty over your life. Ascribe to Him the glory that He deserves. Appreciate Him for the things He has done in the Bible, in history, and in your life. You will surely sharpen your ax as you fill your heart with worship. And again from Psalm 46:10, remember that He is God and He will be exalted. Rest is productive. Take the time to sharpen your ax. thanks billy for the encouragement and the reminder.